In which I suggest that SFL admission is not certain; that the upheaval to all three divisions might be too much in terms of the time involved; and that Sevco Rangers might have left it too late to apply to the SFL. And that, even if they do get in, SFL Rules may require them to get rid of many players. Following the news that Hearts and Dundee United will vote against Sevco Rangers playing in the SPL in the coming season, and Motherwell’s decision to ballot its members, the prospects of Premier League football at Ibrox next season are receding. Rangers started last season competing for this prize. If it can be assumed that the Motherwell fans will not back Sevco Rangers parachuting into the SPL, and that Celtic too would oppose a rescue for the ghost of its long-time rivals, then only one more team needs to vote against the proposition, and despite its PR campaign, Sevco Rangers will not be in the SPL. The assumption is that they will drop into the SFL, either into SFL Division 1, or to the bottom in Division 3. If there is a vacancy in the SPL, the assumption is that this will be offered to Dundee. Fairness might suggest that Dunfermline should get the place, as they are the most affected victim of oldco Rangers breaking the rules. If Rangers had paid its taxes last season, it would have run out of money long before the end of the season. In those circumstances, if it had failed to complete the season, Dunfermline would not have been relegated. Because Rangers lingered on to the season’s end however Dunfermline went down. Either way, a rebuff to Sevco Rangers will leave a gap in the SFL Division 1. The SFL Rules seems flexible, empowering the Board of the SFL to deal with situations as it thinks appropriate. It seems though that, in this scenario, the team which finished second bottom on the First and Second Divisions, if relegated in the playoffs, would be reprieved and if they had survived the playoffs, then the bottom team would be saved. Thus Ayr United would remain in Division 1 and Stirling Albion in Division 2. Alternatively the SFL could promote the losing playoff finalists, Dumbarton Airdrie United (not Airdrieonians) and Stranraer. However, either would leave a gap in Division 3. The SFL will then have a problem. The SFL League season starts on 11th August, thus giving some weeks for a replacement. But the SFL season itself kicks off on 28th July with the first round of the Ramsdens Challenge Cup, followed by the first round of the League Cup on 4th August. 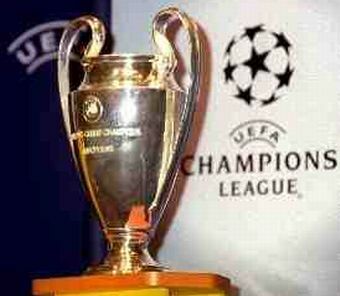 Sevco Rangers might not even be in position to compete for this trophy in the coming season. When Gretna failed, to be replaced by Annan Athletic, the SFL was able to carry out its process of assessing the various applicants, reaching a decision on 3rd July. As the SPL vote regarding Rangers only takes place on 4th July, and as the admission of a new member requires a General Meeting of the members of the SFL, with at least 14 days notice required, then the earliest that the SFL could meet to decide on a new applicant would be 19th July. In reality that would be optimistic in the extreme. As David Longmuir, Chief Executive of the SFL described in the Daily Record in April, the process for replacing Gretna still took some time. I suspect that Mr Longmuir did not expect, when saying the above to the Record in April, to face having to find a new member in the height of summer, when many will be away on holiday, and with a maximum of 23 days to carry out the full process! Cove Rangers and Spartans will have the advantage of being able to blow the dust off the plans from four years ago, and update it. Sevco Rangers need to write one from scratch, and to deal with enquiries regarding “financial stability”. If it went to a vote, I think it highly unlikely that the SFL clubs would reject Rangers. After all, the third division teams would get to entertain them twice in the first season, and probably the other two divisions would have the same as RFC worked its way back to the SPL. Is Sevco Rangers yet a football club undertaking to provide Association Football? Rule 9 states that “The League in general meeting may upon such terms and conditions as it may think fit admit any club”. Even if Sevco Rangers get into the SFL, they still have to satisfy the SFA as to their credentials. If this is in the midst of a marketing campaign by Mr Green to emphasise to RFC fans that it is still the same old club, it will be difficult for him to distance Sevco Rangers from the alleged wrongdoings of Messrs Whyte and Murray. This would especially be so if the SPL Appellate Tribunal under Lord Carloway reconvenes before then. Indeed the SFL would be entitled to hold off from any decision till the regulatory future of “Rangers” became clearer. 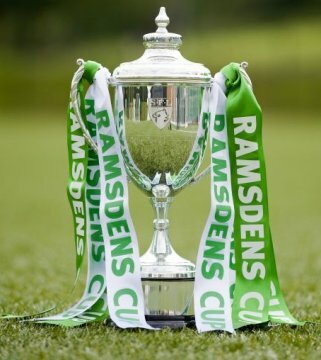 I think that the short notice for replacing the missing team means that the SFL might not be able to complete the process of filling the gap for the start of the Ramsdens Challenge Cup. The upheaval to all the fixture lists would be serious. In 2009, when an SFL Disciplinary Panel relegated Livingston from Division 1 to Division 3, it did so the week prior to the season starting. This caused chaos and leads me to believe that the SFL could elect to play a season with only 9 teams in the SFL Division 3. They will not want to repeat the mayhem caused by the changes. Can they possibly manage a full and fair process, particularly when there could be risks of legal challenges, and of further disciplinary action against Rangers FC? And even if Sevco Rangers is voted in as a member of the SFL, there is still a big problem lurking. My reading of that is clear. If you are a team in the SFL, you can only have 22 players of 21 or over registered to you. Old Rangers had a lot more than that and Mr Green thinks that all the players have now joined Sevco Rangers, although the failure to abide by statutory consultation procedures relating to TUPE might render that less clear than he thinks. If all of the players have joined Sevco Rangers, then what will they do with them, as they would need to reduce numbers very quickly? Rangers would have four choices. 1 Ask the SFL for a waiver. But the rule is there for a reason, to level the playing field, and to save the SFL clubs forcing themselves into becoming financially stretched to keep up with competitors by signing more and more players. A waiver would be an admission that Sevco Rangers was a “special case”. 2 Send a lot of players out on loan. This could work as it would cut the numbers of players, and reduce the wage bill. However, sending highly paid players out on loan would damage the product on the field, and sending young, over 21, players out would only affect the number rather than the wage bill. 3 Sell off a lot of players. This would create income for Sevco, as long as the position regarding the players’ employment had been clarified. However this would be akin to a forced sale, and buyers would have the upper hand. This might however provide Sevco with essential working capital, although if the top players were being sold, could damage the attendances and season ticket sales. 4 Pay players off. Terminate contracts and make players redundant. That will cost them money, and paying off a player’s contract when they have been on the Sevco books for only a couple of weeks would be profligate in the extreme. As far as the players are concerned, wise agents would be advising them to await at least the July 4 vote before confirming their positions. Normally objections to TUPE transfers happen at or before transfer, but here, where it seems that none of the statutory procedures have taken place, I think the players would have some leeway, if they wanted it. Will Rangers be admitted to the SFL? On balance it is more likely than not. However, there are many issues which make that uncertain, that of the players being one of them. As Mr Longmuir has already confirmed that the same process as before will be followed, an unsuccessful applicant could have legal redress in the courts if Sevco Rangers is “fast tracked” into the SFL Division 3. Will the SFL members feel that the attention which will be on them if Rangers enter Division 3 is worth the upheaval of fixture list changes? For economic reasons, at least for the bottom division teams, the answer is yes. It is not certain however, and with all the issues Sevco have to put a team on the field, there is, with every day that passes, ever more possibility that Sevco Rangers will not compete in Scottish football next season. 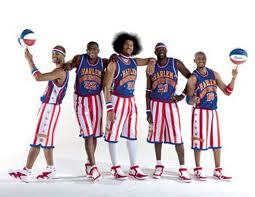 Could Sevco Rangers spend next season as the football version of the Globetrotters? In that case, and even if a gap is left in Division 3, how can a football team survive for a year with no income, unless it decided to become a footballing Harlem Globetrotters, playing exhibition games? That too could be a problem, as the ongoing SFA and SPL disciplinary processes might result in Sevco Rangers being banned for the year they would be out of the league, and if banned, they cannot play friendly fixtures either! BUT. Do Sevco have any players to sell off? Do Sevco have all the info required to submit an application to the SFL? Financial records for a start…oh and players? I do not believe that they do. With the number of known unknowns in relation to Rangers (IA) and Sevco I fail to see how a credible application to SFL3 (let alone SFL1) could be made in time for the new season. Why wouldn’t a new rangers apply to the English league. The end gains would be far greater for the club. Might be a great opportunity. Because under UEFA rules they can’t. If I were running Sevco Rangers I’d be tempted to go to the meeting on 4th July and ask for a one year stay of execution – let them play in the SPL for a season which gives a year to go though proper process and tidy things up in a considered manner. Wouldn’t be holding my breath for a positive outcome tho’! Rich there is no “stay of execution” as they are under sevco not members of SPL. The vote on 4th is to admit newco not decide if they should remain in position, that possibility has long since gone. Following yesterdays disclosure by Hearts and DU, which is a welcome breath of transparency, I imagine that Rob Petrie will follow suit closely followed by AFC. The outcome of MFC will no doubt be made public so it potentially lets CFC off the hook of openly disclosing its vote, by having the required number to refuse entry to SPL before the vote is undertaken. This assumes that MFC vote no, (certainly not assured) but St JFC are more likely to vote no albeit fence sitting just now. STMFC are too busy dealing with their own problems and that could go either way depending on the ownership there. The rest have all expressed opinion without confirmation that they would “welcome” newco in SPL. I believe that the reason for disclosure is a political one, as Paul has correctly pointed out, so that SFL has additional time to prepare, as do the other meriting teams I have previously mentioned in blogs. It will be interesting but I think space in being made, dependant on still to be decided off the field penalties, (no I’m not paranoid, well maybe a little), and santions for past failings of the club and still to be brought “new” failings. Bearing in mind that D&P have failed to act responsibly and on time regarding several matters and could face new charges of bringing the game into disrepute among many other charges still to be uncovered by the liquidator………..as usual with this time will tell…..
would it be feasable for the SFL to ask for applications to join their league to be submitted now, so that there is less delay should the SPL reject New Rangers bid? That would mean the SFL being proactive, a highly unlikely scenario. I think you are right though, call the meeting now, as it seems obvious Rangers are out of the SPL, and the SFL members could have their meeting 6th or 7th July giving a month to sort out fixtures and cup ties. I don’t think rules allow a meeting to be called now. Is there not a minimum time between the application being presented and the meeting being called. Or is that a maximum time? No, they can’t. There is not currently a place in their league to receive applications for. Rangers have not (officially) left the SPL and no one from the SFL has been invited to take their place. Most of which assumes we have given up on the Appellate Panel suspending RFC (IA) from SFA membership, and that this suspension is not inherited by TRFC. Sevco 5088 Ltd cannot inherit any punishment of Rangers FC (IA). They are an unrelated new company. They can if they agree to do so as a condition of admittance to the SPL. That’s not the same thing though. A membership association can, of course, attach whatever conditions to prospective new members as it sees fit, within its rules. However, unduly unfair conditions might attract a legal challenge with CoS or CAS. A legal challenge would lie only if the SPL does not comply with its own rules in considering any application. If the SPL offers to admit Sevco to membership subject to conditions and Sevco accepts, but then decides to challenge the conditions, then any court will throw such a challenge out, as Sevco will be personally barred from challenging the conditions (unless the SPL agreed at the time that Sevco could appeal somewhere). It becomes a matter of contract law. It is not the company that the SFA Judicial Panel are seeking to punish. It is the club which is an entirely distinct entity. According to the newco the club has been transferred to them along with the SPL share and the newco are now seeking approval from the SPL members for the transfer that SPL share. It may well have been open to the newco to have taken the stance that the club was finished and what they were looking to do was to start afresh with an entirely new club and they would have been seeking to acquire the share which had previously belonged to the old club. That would of course have alienated the fan base and would have opened the process to the potential bids of other aspiuring clubs which has been excluded by virtue of the controlled transfer. The brand new club option would also have excluded them from any chance of a vote on 4 July (my own view is that they ought to be excluded anyway in terms of the relevant articles, however that seems not be what is about to happen). No. The Club is the Company and the Company is the Club. To argue otherwise is sophistry. If the statutory process required under TUPE has not been followed then it seems no employees at all of Rangers plc have moved across to Newco. The SPL application looks ever more like Mr. Green going through the motions because Newco has no cash to pay wages. And is he and are his ‘investors’ interested in any event in whether or not a ball is ever kicked again in earnest at Ibrox? Newco looks ever more like what it was intended to be, absent a realistic bid for its shares – a property company in the market to sell off its assets. Liquidation, so recently deemed impossible, is now certain. How long now till liquidation becomes extinction? agreed but we have to assume this at the moment as they have the right to appeal any penaly laid against then thus prolonging any agony – months of continual appealing, and they also jhave the right the appeal, (quicker process), or sue for non registration in SPL/SFL. They have already shown that they would be prepared to do this by getting the AP decision returned. You really need to thing of Rangers and Sevco as two unrelated entities, despite their continual conflation by MSM, D&P and Green. How Rangers (IA) are punished and any appeals thereon is irrelevant to football being played at Ibrox next season as that company has ceased to operate as a football club, has sold its assets and will shortly be liquidated. Charles Green’s Sevco 5088 Ltd has (we are led to believe) acquired certain assets of the oldco and wishes to start a new club. It has applied to have oldco’s SPL share transferred to it and the SPL Clubs (whose decision this is) are now lining up to say no. Fair enough, difficult to challenge I would imagine. This is not a punishment. Hugh I understand and appreciate the difference and understand that this is not a punishment, I was referring to the imminent punishments that have to be announced against old RFC Grp for their failings and any future claims albeit against the now defuct business, but not the club if I understand correctly the SFA rules and regulations. Therefore admission as correctly pointed out before can be made to either SPL and SFL subject to conditions, the SFA can impose these santions/penaties against the club and therefore I accept that Sevco starts afresh but the club retains its status as I understand it and history. This is really a point that I am sure will be tested at some point in the courts one way or another. Can I start a team and apply to join the SFL. No accounts.No track record. they have an SPL class stadium – which it appears you dont! Seems Aberdeen are now saying Nay to newco, so that’s 3 (Utd and Hearts) with Motherwell and ICT also saying they will consult fans, Motherwell of course have had 30% new interest in season books, is this indicative of a new found optimism in their team and/or the fact they have another good shot at Europe in the coming season with Ranger’s demise..? D&P/Green have really been instrumental in turning the tide, with ALL Scottish fans against Rangers now, triggered, imo by the appeal at the court of sessions, that seems to have been their Rubicon moment, before that I would have said they had a good chance at a vote to stay in the SPL. Celtic would have to make up that Quorum for sure. Dunfermline should stay in the SPL, good point Paul. It would be a total injustice to have Rangers in the SFL1, just because it’s easier to do that does not make it the right thing to do.. I cannot see past pushing the league starts back to accommodate newco unless justice prevails and they are chucked out for at least a year. The “24 hr consortium (aka the Timmy Troup)” led by Bomber Brown mentioned a huge financial hole (albeit I think they were taking the p!ss if honest and have their few hrs of fame) and I hear Green JUST made the £5.5m purchase with hours to spare and will struggle to pay running costs past July, financial issues would need to be assured to get a shot at any league otherwise we will be seeing a similar administration event in the coming season adding more carnage to this train wreck. We all suspect the honest Yorkshire man has been selling his grannies, he seems to have a few, his latest ring-fencing of season books’ monies seems to be another little gem as Llloyds have said the account is not secure and the monies collected (mainly thru automatic DDs) could be used for creditors of oldco… Laughed my legs off at that..! I wonder how many of the season books taken up were because the supporter had a DD and not a standing order.. We could see a lot of supporters looking to haul their money back from a company in liquidation, is that possible or are they now creditors… Ineptitude Utd. The RFFF say buy season tickets, the RST say dont buy for now…. I feel for the honest fan of the oldco who must feel he is in a maze laced with razor blades and blindfolded.. If I say some Extra-terrestrials, next week, will beam down and claim ownership of newco and offer gold nuggest to Green for the pleasure and promise they have the best interests of the club at heart, sell ground naming rights to a company from uranus, rename murray park, £30m in the bank before end July and if you buy a season book the money wont be squandered and they plan on going into the market for all the players that finish the game as winners of the Euro championship, would you question that…. With this story anything is possible. does David Longmuir, Chief Executive of the SFL not realise that there is no rangers anymore…they have gone BUST ! Only if governing bodies choose to follow their own rules! But surely the SFL will be leaving themselves open for a torrent of legal action from more entitled clubs like Spartans, Cove Rangers etc if they don’t follow their own rules? That’s assuming clubs that size have enough cash to fund expensive court cases. Didn’t the SFL set a precedent for this with Gretna? Would ignoring this now give problems with unsuccessful clubs if Newclub were admitted to the SFL without 3 years of accounts – just prolonging the whole sorry mess? I believe Celtic will vote for the newco to be accepted in the SPL.on strategic grounds, its all sabre rattling to get structural change and shift the power away from the OF., Hearts will change their mind once CG hands them a brown envelope with monies owed. Hi Niall, You’ve made my day. Currently in A&E having my sides stitched back up. I thought you may appreciate my post, I did state CVA or bust, and I may get this one right, the newco is doomed to fail before it has begun. The further Rangers fall the bigger the investment, and Rangers is not worth the investment nor the risk. I don’t believe the vote will even happen. Green surely sees the writing on the wall and will withdraw and hastily pull together a proposal for the attention of the SFL ……..
…… unless, of course, Green has no intention of fielding a football team and is only interested in the real estate? Wishful thinking I am afraid? No property developer is going to touch Ibrox with a 50 foot bargepole, for any development, and no end user is going to do likewise. Not if they have any interest in having a safe and secure future life for them and their families and their businesses. You seem to overlook the fact that there are a lot of demented bampots out there who would think nothing of doing all sorts to anyone involved. People who buy football clubs might be lacking a full shilling, but most property developers are not. Sorry buddy as the guy that believed and kept saying a CVA was a certainty when everybody else knew it was an non starter do you think anyone cares. Please refrain from misquoting my position, I never claimed the CVA was a certainty, but thanks for your thoughts. …and nobody knew the CVA was a non-starter, least of all everbody. Well I posted on another forum on the day Rangers went into administration that liquidation was inevitable and that there would be no CVA. This was not wishful thinking on my part (unlike others) but a realistic assessment having seen my club go through a similar scenario 5 years earlier. I really should have told D&P and saved the creditors millions, shouldn’t I, eh? I am certain that the strategic considerations around splitting the Old Firm and reorganising the financial distribution arrangements will be a factor in how Celtic vote and it may be why some of the others have come out early to indicate a “No” vote. Celtic will not vote “Yes” and risk the wrath of their support and the loss of season ticket revenue if it is clear that the others are going to vote Rangers out anaway. That way they lose the vote and the support of their fans. I would not be so sure about how they would vote however if it was crucial to the outcome. I think you might see some of the others announcing their intentions before too long effectively tying Celtic’s hands. It is clear that the other 10 have the upper hand in this particular strategic battle. There is no way out for Celtic. Quite obvious now why Sur Tainted Murray couldn’t get a buyer for Cheat’s F.C, they were up to their ears in the brown stuff and Murray couldn’t get anyone other than a shark to take it off his hands before the proverbial hit the fan…’s. The man should be given time in jail for all the mess he has caused Scottish football. Though its got to be said ironically that their ”supporters”, including the sycophantic Daily Rec-turd didn’t half do a power of crowing at all the players and tainted titles they were stealing during these years. Now they just want us all to forget these years and throw petals down on the road for a privileged place in the SPL…not bloody likely mate. You do the crime you do the time… and as for all their crowing their supporters can look forward to the reality of the Third Division for their new Sevco boys…see you in a dozen or so, years if your lucky. Rangers were losing 10 million per year without Europe WHEN they were cheating, this gives an indication of how bad this business model was/is. I agree with Bill Miller, the amount requred to salvage the business cannot be recovered within a generation. Its not about old debt, its about a loss making business model in a marginal marketplace. Trying to assess the reaction of fans for 3 years without Europe is a high risk venture,without much reward. The only solution has to be a fans share issue and I am not sure the fans have the stomach or the deep pockets for it. I hear that the police have made it clear that Div 3 grounds are not suitable for the hordes of bigots following Cheats R US FC. Really? That why all Cup games against wee teams are cancelled, oh hang on …..
Was just pondering on possible alternative uses of MP and Ibrox Stadium, AFTER every authority from UEFA to the Tufty Club hammer Rangers. The Scottish Prison Service could save millions in capital projects by buying Ibrox as a replacement for the overcrowded Bar-L. Whilst there are currently sitting tenants, I think Lord Hodge might make a strong case for them remaining. I’m bad but HMP Govan does have a certain ring to it. @Hugh Jarse. Haven’t we had this debate that Club and Company are distinctly different under the rules of the SFA/SPL. The club can vote because it still holds a share but Mr Green won’t play his card for fear of sanctions being applied by the AT on (The) Rangers FC. Until their name is changed and re registered as whatever fc with the SFA and the League they remain RFC. Liquidation only applies to Rangers PLC the company. Could have misunderstood Paul’s blog on the issue though. Not quite. The oldco can (maybe) vote because although it is no longer entitled to hold a share it still does as the governing body has not acted to cancel or recall the share. The share was the asset of a legal entity – Rangers Football Club Plc. The players were employees of a legal entity. The assets were owned by a legal entity. The legal entity is insolvent. It has sold some of its assets to another legal entity. Surely if they lose the entitlement to hold the share they lose all that holding that share entitles them to do, including any voting rights associated with the share. Paul blogged on this recently and his conclusion Ws that RFC could still vote as their share had not yet been repossessed. Of course, the SPL could move to recall RFC’s share ahead of 4th July as they no longer have the right to hold the share. Hindsight is 20-20, no two administrations are identical and each one must be assessed on its individual merits, it was clear from HMRC’s statement that the actions of CW tilted the scales in favour of liquidation. Let me remind you neither the administrators nor the bidders considered liquidation to be a certainty. I have no problems in accepting I was wrong but I refute liquidation was inevitable. One could argue that liquidation. I suppose was not inevitable because someone could have rolled up with a spare £100m+ to settle the debts and provide another £30m of working capital or a meteor may have hit the planet and blown it to smithereens or a thousand and one other possibilities. True about hindsight, but as I posted that liquidation was inevitable on the day they went into administration, I hardly think I am guilty of hindsight. Gloating at being right all along perhaps…. I think it has been established beyond all reasonable doubt that the administrators have not known their erse from their elbow in this administration – certainly every time they have opined that talks with HMRC were going well, I became more firmly of the view that HMRC would vote no to a CVA. As for the bidders, they have been guilty of taking at face value the misleading assurances given by D&P as to what the position was IMHO. You are right in that no two administrations are identical – what was clear at the outset of the administration is that the conduct of the management and directors of Rangers in the months leading up to the actual administration especially in respect of payment of tax, was shocking, and far far worse than say the Leeds Utd case, with which this one shares most similarities. Tut! Tut! What is this repositioning yourself. You may not have been ‘certain’ but I do recall that you said if a CVA was not agreed you would be proved wrong and never darken this site again! If that is not a man who is certain of his position then what is. I agree however not everyone knew CVA would be a non starter you obviously were one of those how did not. You are confusing levity with certainty, I have been wrong before. Paul I would be very interested on your take on the deal the SFA, SPL and the SFL have reportedly cobbled togaether to allow Sevco into the SFL division one. It seems corruption and bending over backwards for cheats is acceptlable by the governing bodies. It sickens me to see the wishes of fans being trampled on as it is clear they believe division three is where Sevco belong. If the cheats are allowed into division one and any club decides to challenge this in court every supprters club in the country should support them. If funding is an issue every fan who beleives division three is where they belong should contribute to the legal costs. Also with regards to the application to join the SFL. Do the same rules not apply? or is it a staright majority have to agree to accept the new club, who ever they may be? whens the ebt punishments ? I think we need to put this into context. A: It appears to have broken as an ‘Exclusive’ in the Daily Record. B: It was written by that impartial award winning journalist Gordon (Ibrox) Parks. I have no doubt that a number of bumholes at the SPL, SFA and SFL have been giving it ‘ten pence fifty pence’ over the past few weeks. It it highly probable that discussions have taken place and various scenarios run up the ‘panic flag pole’. However. I think the past few days have shown that the swell of discontent against this sporting disgrace has been wider than even we had anticipated. Whilst it cannot be denied that the SFA, SPL and SFL are ‘in charge’, they would be foolish not to realise they are not ‘in control’. I think the bullet point under the headline to the effect that SKY would be covering their games in the First Division says it all. REALLY? Would anyone in their right mind watch this? This is in no way a slur against the First Division, far from it. Supporters in the First actually GO to matches. If this alleged fantasy deal were to be marketed as being good for the SFL, it clearly is not. I think the re-runs of a 1970’s kipper tied, chain smoking alcoholic detective would gain higher viewing figures than a newco match. It’s more entertaining, less predictable and it wont cost you £30 a month to watch. The sooner this disgraceful debacle is brought to a swift end the better. I have long since held the belief that the only bit of the Record that is believable and holds any journalistic integrity is ‘Showbiz Sam’.